Your lease doesn’t have to keep you from enjoying the latest and best INFINITI has to offer. 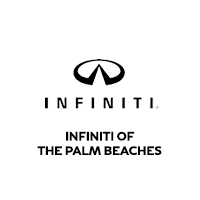 INFINITI of the Palm Beaches makes it easy to upgrade your current lease to the most recent year model. Upgrading your INFINITI model to the latest edition offers more than just an aesthetic improvement. You’ll be able to enjoy the improved safety and infotainment tech that comes with the new model. You’ll also get a warranty refresh, extending your protection. A waiver of up to $500 in excess wear-and-use and excess mileage costs on the eligible IFS lease, if applicable. For more details on this program, reach out to our West Palm Beach, Florida, team at (561) 220-5259.